What does a philosopher look like? Inevitably, our mental pictures are shaped by the dominant imagery of the white male marble busts of Greco-Roman antiquity—Plato, Aristotle, Cicero, Seneca—and their modern European heirs—Hobbes, Descartes, Locke, Rousseau, Kant, Hegel, Mill. Even today Western philosophy is largely male and overwhelmingly white—about 97 percent in the U.S., close to 100 percent in Europe. Diversifying the field requires expanding our corporeal imaginary of its practitioners. This conference, timed to honor Professor Anita Allen-Castellitto (Penn), the first black female President in the 100-year-plus history of the American Philosophical Association, aims to showcase the work of a traditionally under-represented population, challenging these preconceptions. 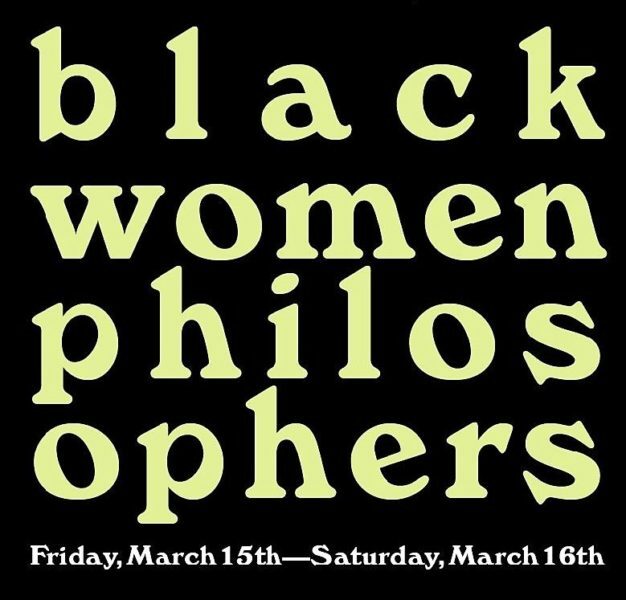 Allen and fifteen other black women will speak on their research across a wide variety of philosophical topics. Hosted by: The Center for the Humanities and the PhD Program in Philosophy at the The Graduate Center, CUNY. Co-sponsored by: The American Philosophical Association Committee on the Status of Black Philosophers, and the Advanced Research Collaborative at the Graduate Center, CUNY. Free and open to the public, but please click here to RSVP for Friday, Mar 15th. Please click here to RSVP for Saturday, Mar 16th. Click here to read the full abstracts for each speaker’s presentation. The venue is wheel-chair accessible.